I recently covered my daytime routine on here so now it's time to tell you about the products I currently use in the evening. 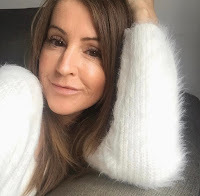 As I said in my daytime post I've switched my cosmeceutical products from Jan Marini to ZO Skin health but also combine that with other brands too at the moment as I'm working my way up to getting more of the ZO products when budget will allow! On an evening I double cleanse. Korean women have been double cleansing for years with Korean beauty bloggers making it ever so popular with the rest of us women. The first cleanse is removing make-up, SPF, sebum, and dead skin, the second cleanse is getting down to that squeaky clean skin which is then ready and prepped to receive all the benefits of your products. For my first step I use an oil based cleanser which helps to pull out the oily dirt like make up and sebum. I love the Ultrabland cleanser from Lush and have raved about this for a little while now as it takes off my eye make up too with no rubbing or pulling AND it helps nourish my eyelashes. (You can read that post here). My second cleanse is with my Jan Marini Bioglycolic cleanser. I basically massage this over my face and then leave for a couple of minutes to let the tingle do its thing. Then wash off. Next up is paying attention to my peepers! 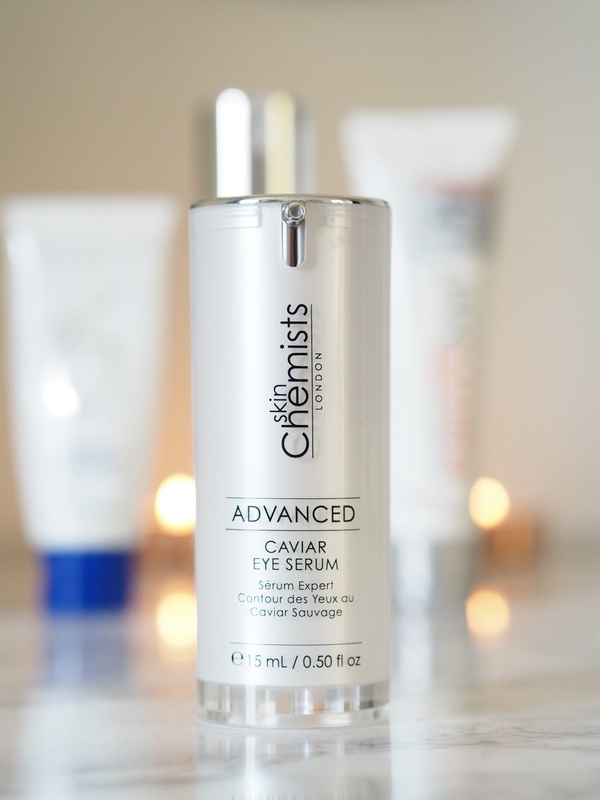 I'm currently using SkinChemists Advanced Caviar eye serum (post here) which helps to add moisture to the really dry skin around my eyes. I'm about to run out of this though......sad times! I'll then follow with my serum. I can't put into words how much I love the Ossential growth factor serum plus from ZO skin health. It's a really lightweight gel that melts into the skin and leaves it silky soft the next morning. This little wonder pot helps to reduce the appearance of lines and wrinkles, strengthens weak skin and restores hydration. 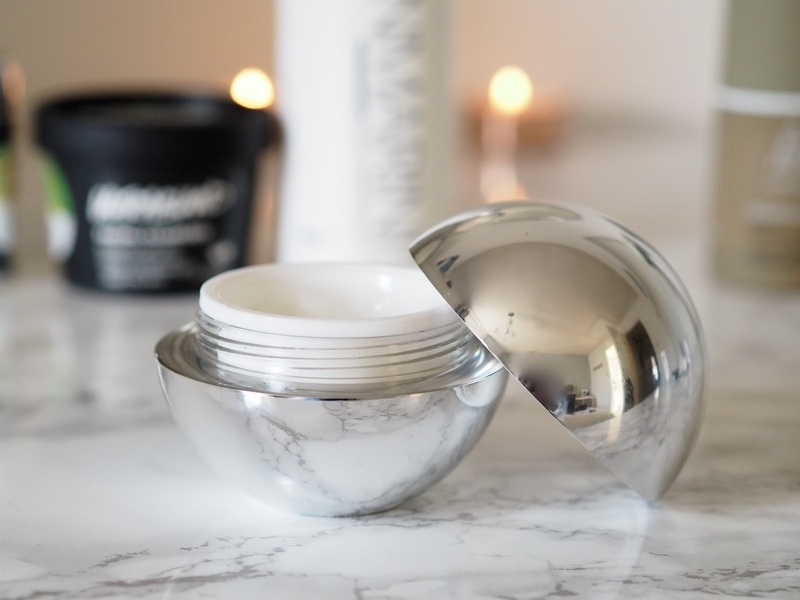 I believe it has a small amount of retinol in it too, which is something I want to add more of into my night time routine shortly with one of their other products. If my skin is feeling particularly dry I'll pop a little moisturiser over the top as well, and at the minute that is the SkinChemists caviar night time moisturiser. Now, a while back I got the Alpha H liquid gold in a beauty box and it was a product I'd been wanting to try for ages! It's only a small bottle so it won't last me that long but I'm enjoying using it. I use this every other night, alternating with my serum because you basically double cleanse, and then apply this with a cotton wool pad to clean skin and then leave adding nothing else. You can add your serum or moisturiser afterwards if you really need it but without it it gives a more intensive treatment. It's like a bit of a resurfacing treatment (yes I know that sounds like it's taking your face off overnight!) and an overnight facial all in one. It's good for more mature skin, sun damaged or acne damaged skin. Be prepared for a slight tingle with this one. I love that though as it makes me feel like it's really doing something. And to finish I give my lips a quick swipe with my Forever Aloe Lips, as I said in my daytime routine, a product I CANNOT live without. Then I can finally jump into bed. What are your go-to products for your evening cleansing routine?